I love Accessorize / Gee Whiskers! I really love Accessorize's jewellery and accessories. There is always something incredibly beautiful in their stores and I have included some items from them in two of my giveaways. This past weekend I spotted this purple ring. 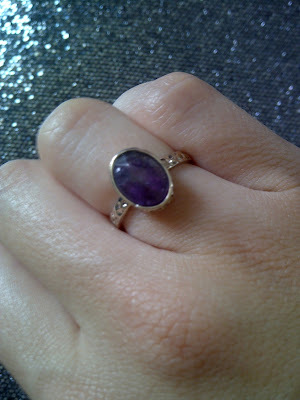 I love purple and have been on the hunt for a pretty (and affordable) ring that has a purple stone. This ring came in a set of 3 for R169 but I gave the other 2 rings to my Mom because I only really wanted the purple one. When they had the 50% off sale I picked up this beautiful bikini for only R240! The stores are currently having a 70% off sale so this is the time to stock up on all things pretty! Thanks ladies :) I really love how accessorize has become more affordable and their sales always make me so happy.